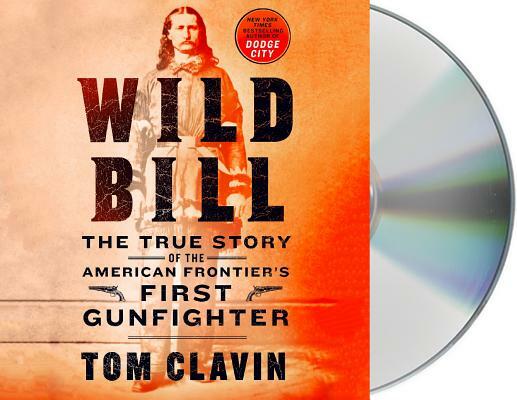 The definitive true story of Wild Bill, the first lawman of the Wild West, by the #1 New York Times bestselling author of Dodge City. In July 1865, "Wild Bill" Hickok shot and killed Davis Tutt in Springfield, MO—the first quick-draw duel on the frontier. Thus began the reputation that made him a marked man to every gunslinger in the Wild West. James Butler Hickock was known across the frontier as a soldier, Union spy, scout, lawman, gunfighter, gambler, showman, and actor. He crossed paths with General Custer and Buffalo Bill Cody, as well as Ben Thompson and other young toughs gunning for the sheriff with the quickest draw west of the Mississippi. Wild Bill also fell in love—multiple times—before marrying the true love of his life, Agnes Lake, the impresario of a traveling circus. He would be buried however, next to fabled frontierswoman Calamity Jane. Even before his death, Wild Bill became a legend, with fiction sometimes supplanting fact in the stories that surfaced. Once, in a bar in Nebraska, he was confronted by four men, three of whom he killed in the ensuing gunfight. A famous Harper’s Magazine article credited Hickok with slaying 10 men that day; by the 1870s, his career-long kill count was up to 100. The legend of Wild Bill has only grown since his death in 1876, when cowardly Jack McCall famously put a bullet through the back of his head during a card game. Bestselling author Tom Clavin has sifted through years of western lore to bring Hickock fully to life in this rip-roaring, spellbinding true story. TOM CLAVIN is a #1 New York Times bestselling author and has worked as a newspaper and web site editor, magazine writer, TV and radio commentator, and a reporter for The New York Times. He has received awards from the Society of Professional Journalists, Marine Corps Heritage Foundation, and National Newspaper Association. His books include The Heart of Everything That Is, Halsey's Typhoon, and Reckless. He lives in Sag Harbor, NY.